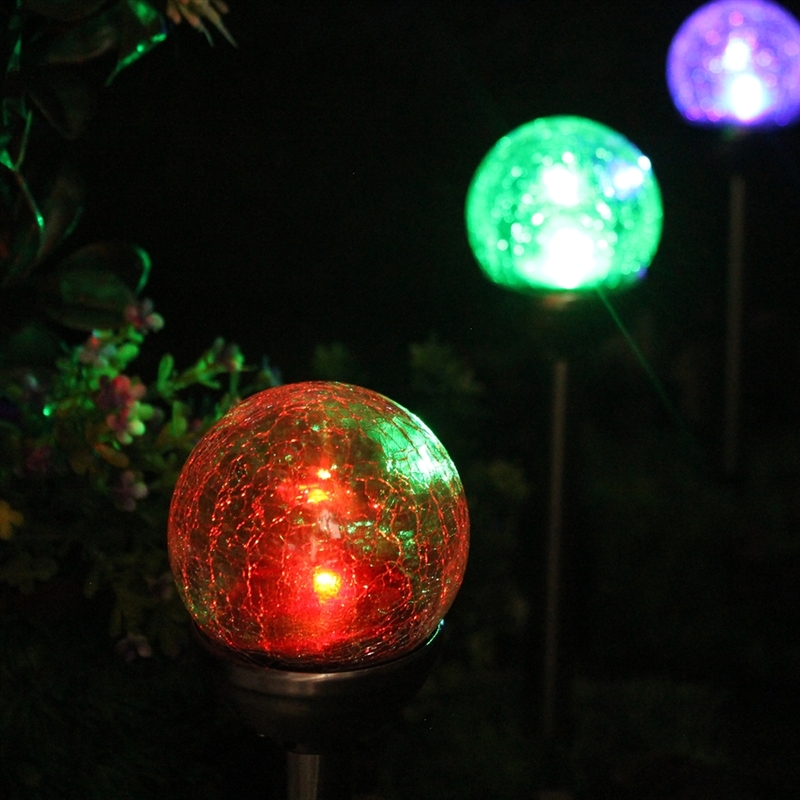 Automatically cycle through 7 colors at night! 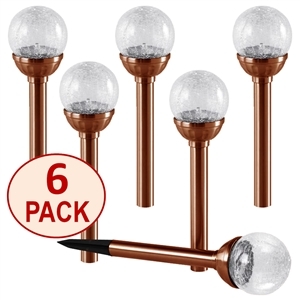 Set of six (6) crackle glass ball, color changing solar path lights. 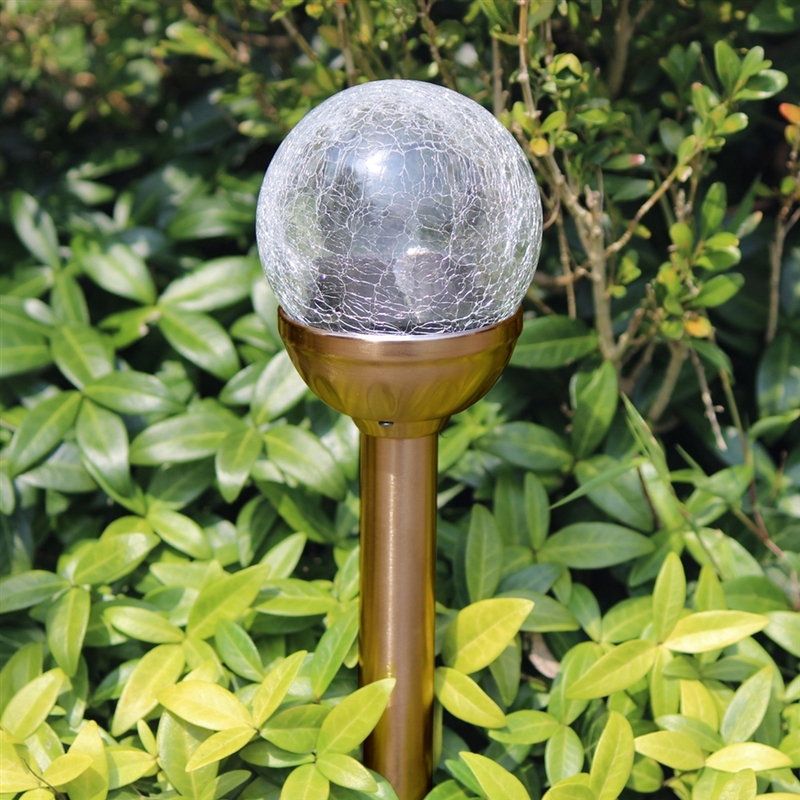 These stylish stainless steel lights have an elegant crackle ball finish with internal LED lights that can automatically cycle through a spectrum of 7 colors. 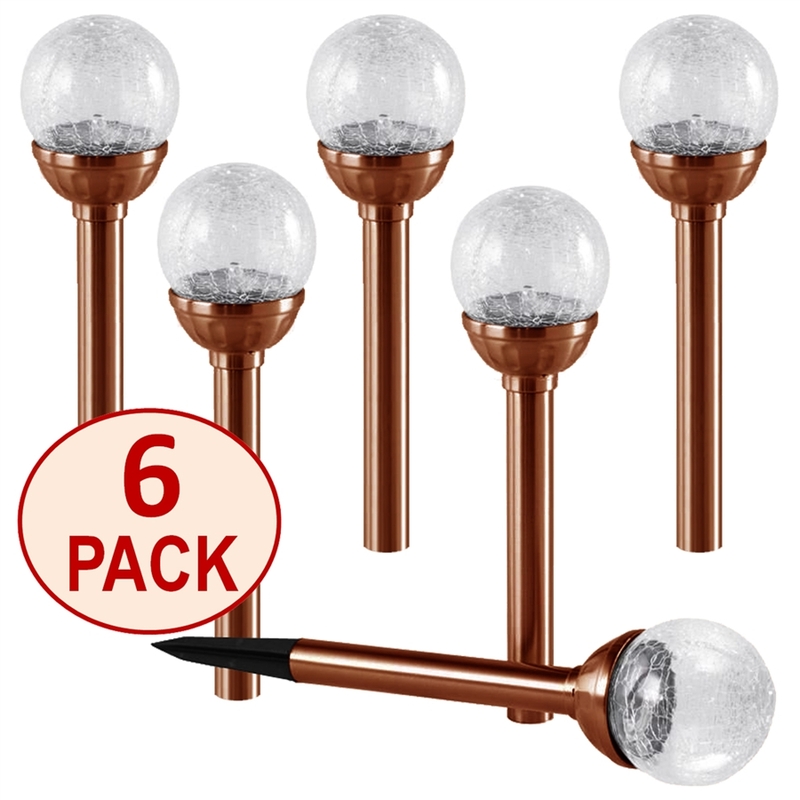 Set of six (6) crackle ball Copper-finish stainless steel solar lights. 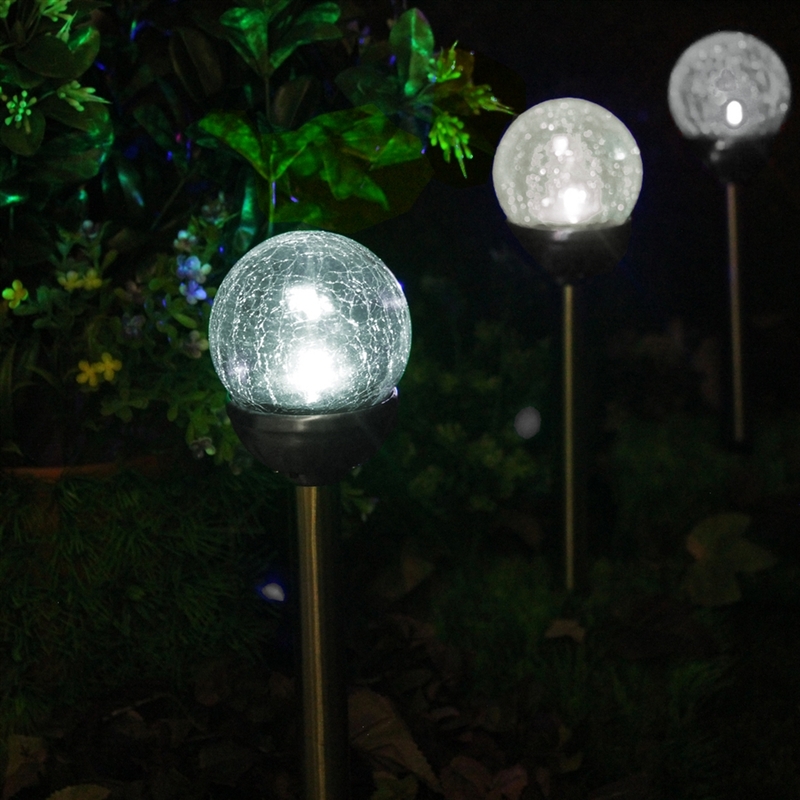 Constructed of durable electroplated stainless steel and glass with a 3-way switch to set to 1 Bright White LED or Color Changing LED lights that morph through the color spectrum. 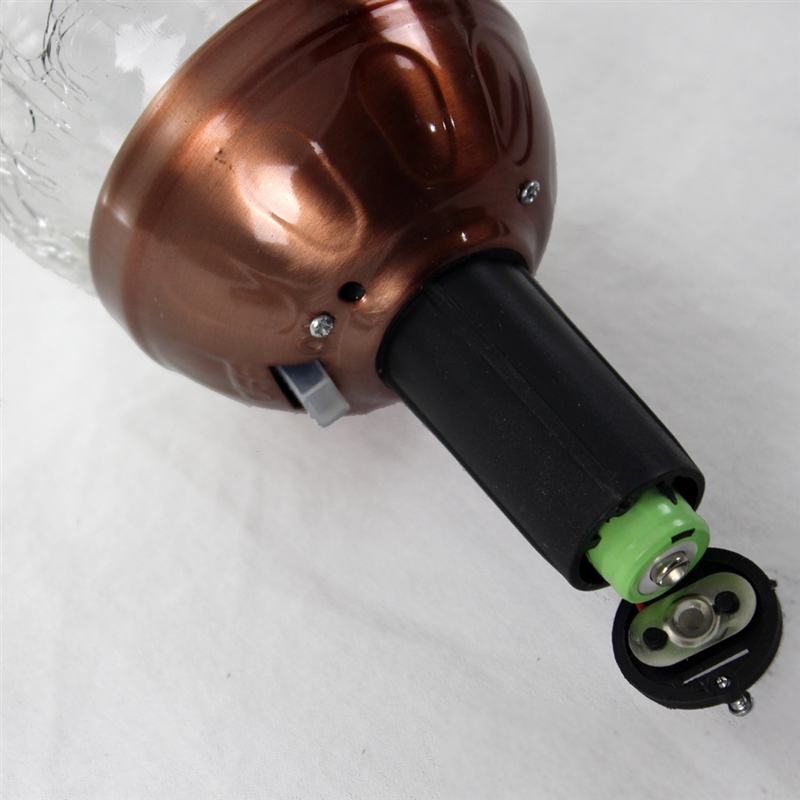 3-way switch to select White LED light, Color-changing LED light or OFF. 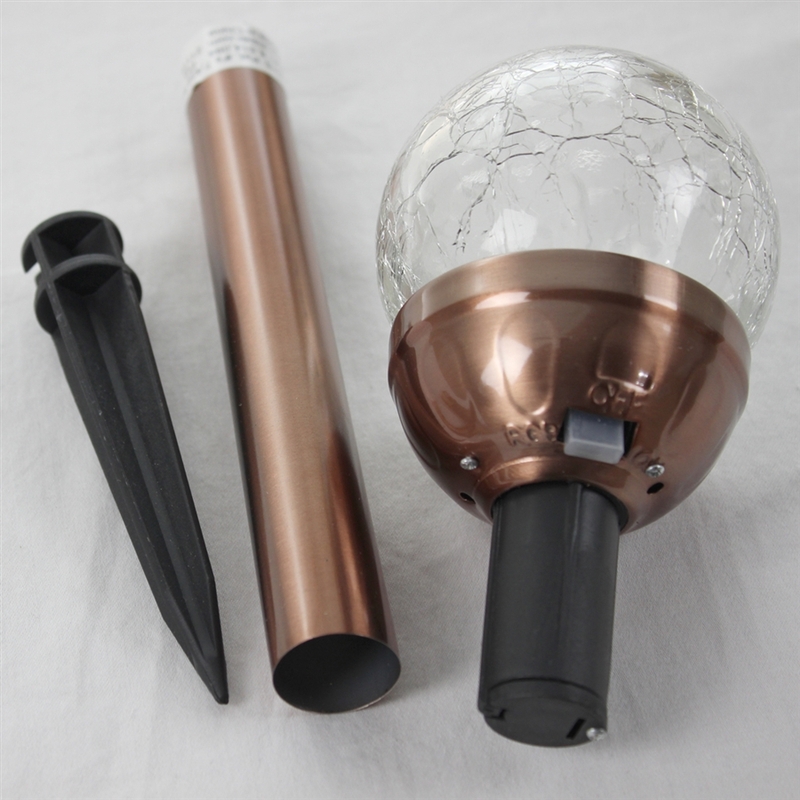 Dimensions: 3.15" x 3.15" x 15.5"